Back in 2012 a company was formed to transport people to the Olympic Park via specially constructed boats, known as Water Chariots. 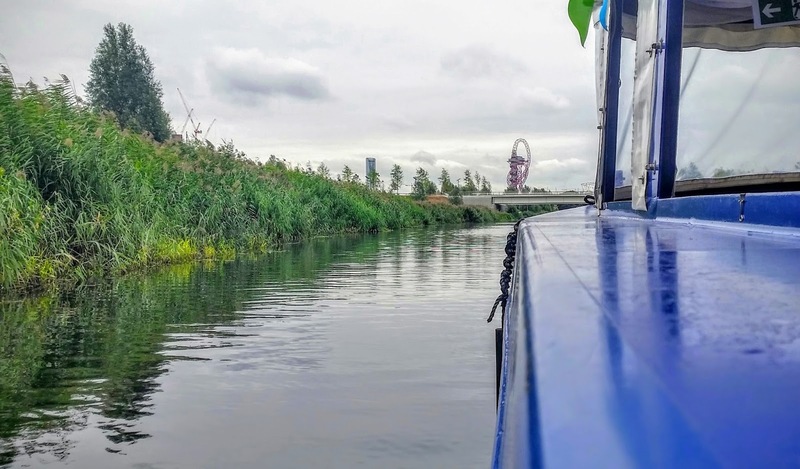 This fleet of 15 boats, which had their own entrance to the Olympic Park, were marketed as the only way to beat the congestion and to guarantee their passengers arrival on time. The company was expected to become a river bus service, following the games, but with tickets costing up to £95 adult return, £50 child return, the company out priced itself, going into administration in September 2012, halfway through the Paralympics. Many of these Water Chariots ended up with the Lee & Stort Boat Company Ltd., who now run mini cruises, private hire cruises, parties and other events.